Landing party, come in! 10 highly detailed, 32mm scale, unpainted resin miniatures of an Original Series Starfleet away team for use with Star Trek Adventures the tabletop roleplaying game. This set contains one male officer and one female officer of the Andorian, Denobulan, Tellarite, and Vulcan species, as well as two male humanoid miniatures. 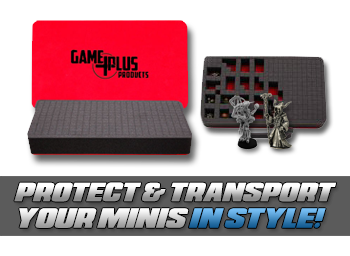 These miniatures are designed for use with the Star Trek Adventures roleplaying game and geomorphic deck tiles.